Curious about how schools in the Grady Cluster compare to those across town? Wonder where we excel and what needs work? Trying to understand how our student body has changed and what the future may hold? If so, please join us for the annual Grady Cluster Data Dig on Wednesday, March 21 at Hope-Hill Elementary. This event is intended for parents of current and prospective students and community stakeholders who want to know more about where our schools stand and where they’re heading. Bring your questions and your friends! Details and registration on Eventbrite. 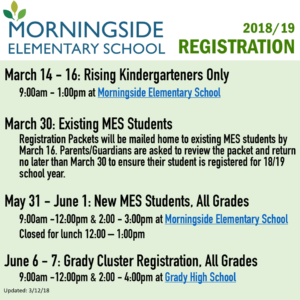 Dates and times are now available for 2018/19 New & Existing Student Registration for Morningside Elementary School. 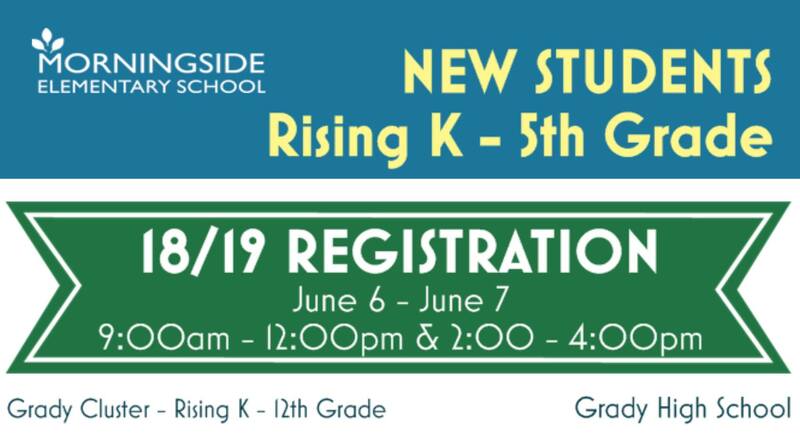 Visit our Prospective Parent/Guardian Information page for details.
? 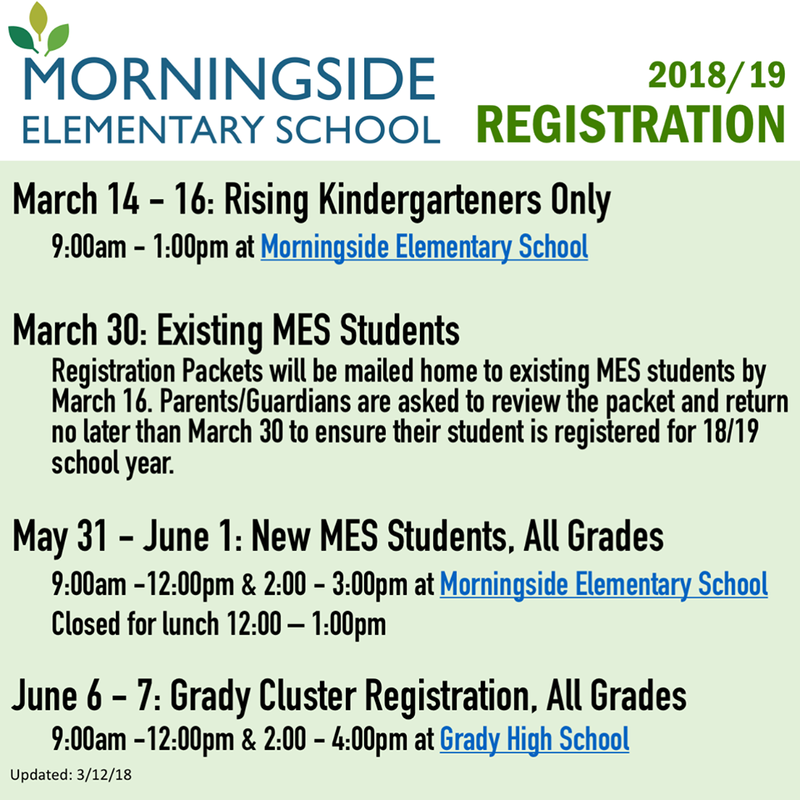 March 30 : EXISTING STUDENT REGISTRATION: Registration Packets will be mailed home to existing MES students by March 16. Parents/Guardians are asked to review the packet and return no later than March 30 to ensure their student is registered for 18/19 school year. 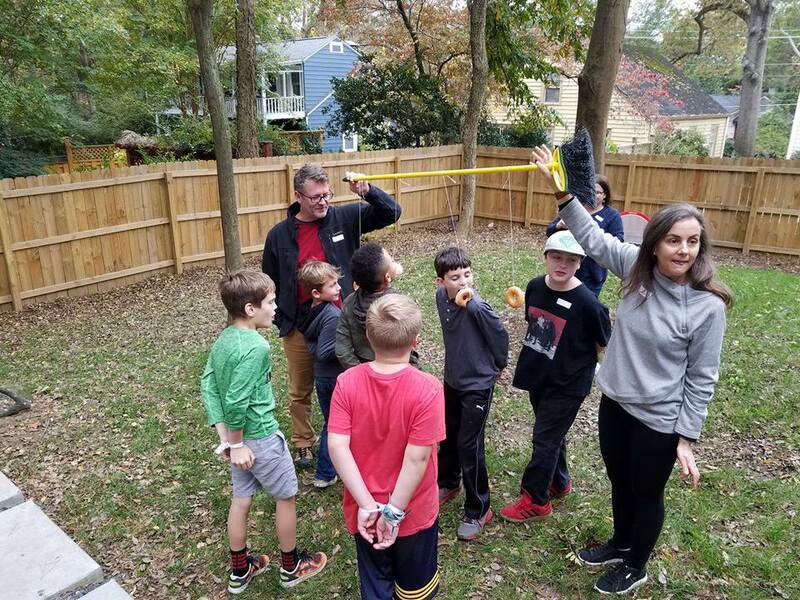 Are you a Piedmont Heights parent who can volunteer about 6 hours each year? Are you a PH resident on the APS Go Team? Are you an educator? tutor? living in our neighborhood? We need you! The PHCA is looking for volunteers for our PHCA Education Committee. Meetings in person would be quarterly, all other communication can be utilized if needed. Liaison with Michelle Olympiadis our District 3 School Board Representative. 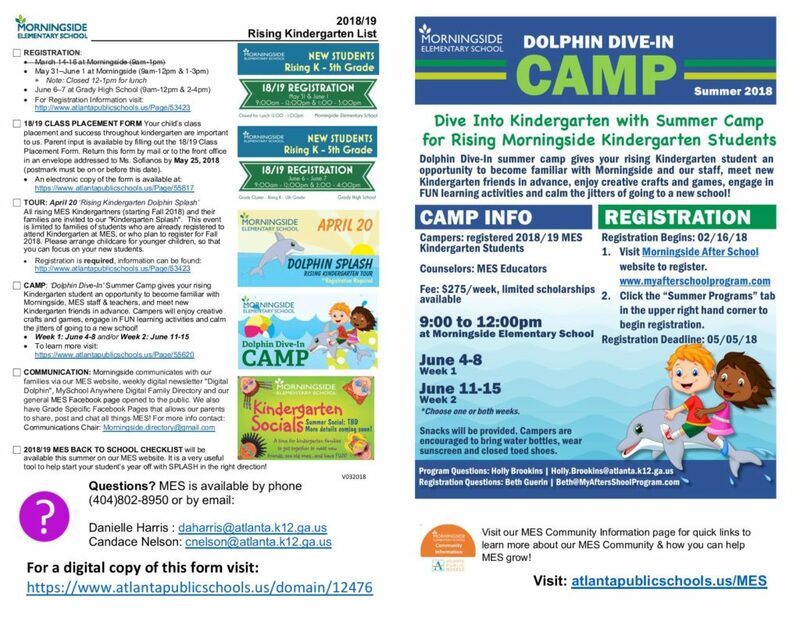 Meeting Representatives (unofficial or official) – Grady Cluster Dig is on the 21st, if we could get feedback from our volunteers we can disseminate that information to our parents. and their allies around the country to organize a National School Walkout Day on March 14, 2018, at 10 a.m.
dates for student civic engagement proposed for March 24 and April 20.
during that 17-minute walkout. Some schools are already getting prepared for the learning experience! Go Teams for APS is Here! 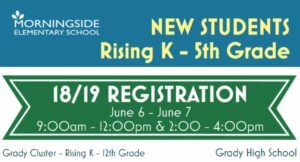 Grady Cluster Meeting – Meet APS Super Next Week! Join Supt. of APS for MES Community Meeting – Wed., 1/17/18 at 6:30pm in MES auditorium. Updates/next steps for MES and Grady capacity issues. Calling all parents of Piedmont Heights! Volunteers needed! Please contact the Piedmont Heights Civic Association Board with comments and feedback about the meeting ( Join Supt. of APS for MES Community Meeting – Wed., 1/17/18 at 6:30pm in MES auditorium. Updates/next steps for MES and Grady capacity issues.) if you are able to attend.